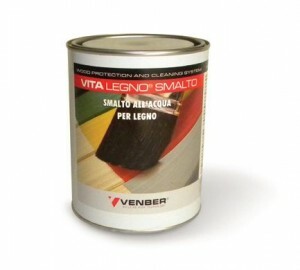 Water based, lucid enamel for internal and external wood. Any colour, on demand. On walls for any kinds of internal and external wood. Odourless, it is ideal for interior.